May 5th is a national holiday to celebrate the growth and good health of children. 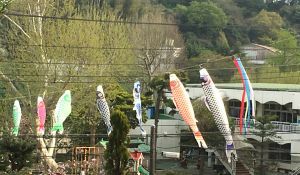 Around that day, you can see carp-shaped streamers flowing in the wind, which symbolize strength and courage. Chinese legend has it that carp become dragons when they swim up whitewater rapids. Another way to get strength is to enjoy fresh fish at the following 2 restaurants near the sea! 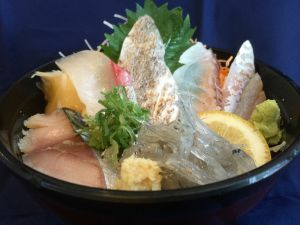 HAMAKURA is located right next door to Yokosuka Fish Market, offering exceptionally fresh fish. You can even enjoy breakfast at the restaurant as it opens from 8 a.m. on weekdays. 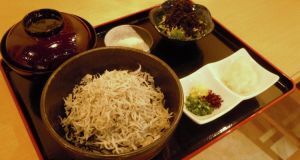 Please try out freshly caught fish and scalded whitebait, which will satisfy everyone’s taste buds. NABURA is located in the Yokosuka Port Market.